A New York taxi driver who fatally struck two pedestrians in the Bronx after he stopped taking his epilepsy medication pled guilty to one count of assault, a class D felony, and two counts of homicide. On March 20 2015, Emilio Garcia who had been off his epilepsy medications for 3 months, lost control of his taxi and fatally struck 5 year old Tierre Clark and 25 year old Kadeem Brown on the Grand Concourse near 170th Street in the Bronx. Several pedestrians were also injured during the crash. The accident occurred 3 months after a previous collision during which Garcia injured another driver in New York City. Drivers who, like Garcia, are affected by a medical condition that can affect driving, such as epilepsy, are supposed to report their condition to the New York State Department of Motor Vehicles. Garcia never disclosed his condition. Not even at the time of the first accident. He just continued to drive despite knowing that his negligent behavior was putting road users at risks of dangerous accidents. The Taxi and Limousine Commission also failed to prevent Garcia from continuing to drive after the first accident. The taxi driver is expected to be sentenced in December. 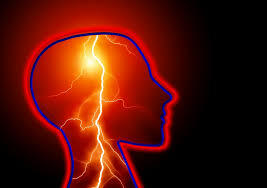 Epilepsy is a serious condition that can be treated. Anyone suffering from this condition and driving a vehicle has to be medicated. Unfortunately Garcia is not the first driver who got off his meds and ended up killing pedestrians in New York City. In 2015 in the Bronx, a man who didn’t take his medications had a seizure behind the wheel and killed a 10 year old girl, her grand father and another man. He was charged with manslaughter. In 2008 a garbage truck driver who was off his meds killed two people after loosing control of his truck. He was convicted of murder.